The Jewish American novelist Henry Bech--procrastinating, libidinous, and tart-tongued, his reputation growing while his powers decline--made his first appearance in 1965, in John Updike's "The Bulgarian Poetess." That story won the O. Henry First Prize, and it and the six Bech adventures that followed make up this collection. 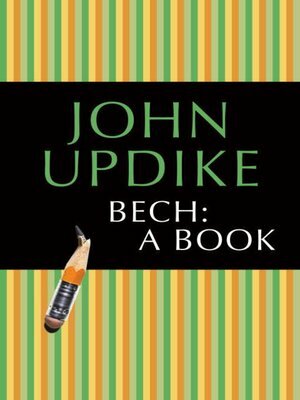 "Bech is the writer in me," Updike once said, "creaking but lusty, battered but undiscourageable, fed on the blood of ink and the bread of white paper." As he trots the globe, promotes himself, and lurches from one woman's bed to another's, Bech views life with a blend of wonder and cynicism that will make followers of the lit-biz smile with delight and wince in recognition.